Turkish Islamic scholar Fethullah Gülen. Turkish government, on Friday, has targeted US-based Turkish Islamic scholar Fethullah Gülen, NBA star Enes Kanter, Akdeniz University’s former rector and 25 Diyanet imams and personnel as its latest steps for sake of post-coup witch hunt campaign targeting alleged members of the Gülen movement which the government accuses of masterminding the July 15, 2016 coup attempt. A high criminal court in the southern province of Adana has applied to Turkey’s Justice Ministry for demanding the Turkish citizenship of Fethullah Gülen be revoked. A total of 120 individuals including Gülen and some businessmen are being tried at the Adana 11th High Criminal Court on terror charges. They are facing a jail term from 7,5 up to 25 years. The court asked for the removal of the citizenship of Gülen, who has been residing in the US since 1999, based on a government decree issued in January. According to government decree No. 680, individuals who are facing administrative or judicial investigation or prosecution over charges of “crimes against the government,” “armed rebellion against the government,” “armed attack and assassination of the president” or “membership in an armed terror organization” will be summoned by prosecutors to testify. If they cannot be reached and understood to be abroad, the public prosecutor will refer the case to the Justice Ministry within a month. The Justice Ministry will then issue a “return home” notice in the Official Gazette for those who are overseas. If they don’t respond to the call within three months, their citizenship will be revoked by Cabinet decision upon a proposal from the Justice Ministry. The Adana court has demanded revoking of Gülen’s citizenship on the grounds that he did not show up in court to testify. Enes Kanter is a Turkish professional basketball player for the Oklahoma City Thunder of the National Basketball Association (NBA). Also, on Friday, an investigation is being carried out against NBA Oklahoma City Thunder player Enes Kanter by an İstanbul prosecutor on charges of being a member of an armed terror organization. İstanbul Public Prosecutor Can Tuncay who is overseeing the investigation against Kanter, has reportedly issued an arrest for him. NBA star Kanter is being accused of using a smart phone application known as ByLock and praising the faith-based Gülen movement from his social media accounts. Turkish authorities believe ByLock is the top communication tool among the followers of the Gülen movement. The prosecutor’s office has also reportedly applied to Turkey’s Justice Ministry for it to ask Interpol to issue a red notice for Kanter. Last weekend, Kanter’s passport was seized by Romanian police at Henri Coanda Airport upon a request from the Turkish government. 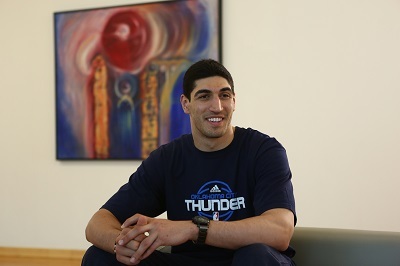 Kanter said in a 45-second video that he had been held at the airport for hours on the grounds that his passport had been canceled by the Turkish government due to his “political views.” Kanter was later able to get his passport back and fly to the US. 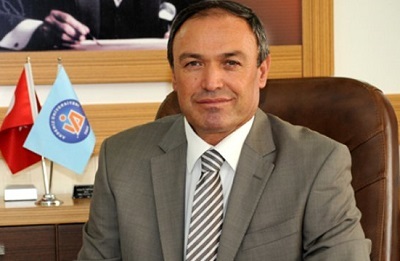 Meanwhile, former rector of the Antalya-based Akdeniz University, Professor İsrafil Kurtcephe, has been detained over alleged links to the faith-based Gülen movement. Kurtcephe was detained at his Antalya home on Friday as part of an investigation against the Gülen movement. The professor served as the Akdeniz University’s rector between August 2008 and November 2015. Also, a Kayseri based academic S.O. was given 7.5 years-prison sentence by a Turkish court over alleged membership to Gülen movement. The court overseeing the case sentenced him/her in jail with his use of ByLock mobile application being the main evidence. 14 other suspects including academics were given jail sentence of between 4 to 7 years over similar charges. Moreover, a total of 25 individuals at the Religious Affairs Directorate (Diyanet), 23 of whom were previously fired from their jobs, were detained on Friday due to their alleged links to the faith-based Gülen movement. It was also reported that Turkish police has launched simultaneous operations in five provinces on Friday to detain 38 people who are accused of allegedly making money transfers on behalf of the Gülen movement. The İstanbul-based raids — which also targeted Ankara, İzmir, Bursa and Hatay — came after an İstanbul court issued an arrest warrant for the suspects. The wanted people are accused of transferring money to Gülen movement affiliated institutions abroad through an association and two companies between 2011 and 2014. The 38 suspects, who are either the executives or partners of the three İstanbul-based entities, are also accused of financing Turkey trips of around 7,000 foreign students on behalf of Gülen movement between 2003 and 2010. Furthermore, a total of 11 people, among them doctors, academics and teachers, were detained as part of an investigation into the Gülen movement in Rize province on Friday. The detainees are accused of having used ByLock mobile application. The coup attempt on July 15 killed over 240 people. Immediately after the putsch, the Justice and Development Party (AKP) government along with Turkey’s autocratic President Recep Tayyip Erdoğan pinned the blame on the Gülen movement.